The much we shall miss? or staring open, haunted with last loss? Were there people who screamed for him? It is my first day back home. I have risen slowly, taking my time to wake in my own room, in my own yard. Your cries startle, bring my eyelids open, so I shuffle out of my round, thatched-roof room to meet you. Sunday. Sunday boy, your mother calls you. She waves a sudsy hand up at me – “Good morning!” and plunges it back into the wash basin with our slough of grimy, travel-stained clothes. My tired glance finds you, a little bundle perched on our lawn in the shade, a pile of material around your little legs. Your perfect spherical eyes are glazed over, gazing up at my glowing visage as I tousle my hair out of my eyes to see you more clearly. Sunday boy, your skin is perfect chocolate and you are so cute. In my dazed half-awake state, I realise that lifting you in my arms is better left for later. I have two months to hold you, I think to myself, smiling in security. I am not leaving for a while. We have weeks to get to know each other. I tear my eyes from yours – brown on brown – and walk towards my morning coffee. I am working on my final paper for the semester, on the night it is due. I am revising my thesis with a friend after a warm meal with guests. A mug of tea is in my right hand and I am glowing with the knowledge of finality, the end of a day and a semester. My mother gasps, startling us. The next few moments blur by, the question WHY resounds in my bones. They did all they could. It was sudden, unexpected. No one saw it coming; he was so healthy. This is the second child they have lost this year. The paper, my world of the past few days, lies forgotten before me as the computer screen blends into a single white glow in front of my eyes. My hands shake, and I cannot force myself to care about theories of modernity when I never held him. I never picked up Sunday boy. He is gone and I never held him. Somewhere, his mother is wailing in the night; I am pressing send on a half-finished paper and we are all crying out to God in the dark to spare us this heartache that has been cut out of us so quickly. It is one of my last days in Uganda, and I am waiting, watching in the corner of the back room of the clinic. The doctor is beside me, giving instructions in a loud and firm voice. Our white gloves are sticky with blood and fluids as a woman I have never seen before in my life swears violently on the table before us, clutching her knees as her abdomen heaves. I will spare you the details, but the first thing we see is his hair. Tight curls, damp against his scalp. Quickly, suddenly, his face squirms out into the world. His cries light up my heart. He is healthy, beating the air with tiny fists. All sorts of things that I don’t understand are happening around us. Clamps, towels, scissors, and you wailing, little new boy. Welcome. You are weighed and wrapped, little one. Your reflexes are perfect. You are placed with gloved hands by your mother’s side, where she embraces and nourishes you. Not my hands – I never held you. Tiny, unnamed boy. Culture says you will remain nameless until it seems you are here to stay. Stay, child, until I can return to hold you. On this day, 32 years ago, four shots ended the life of this great man. Not to say I agree with absolutely everything he did, but there is always something to everyone you don’t agree with – I respect him regardless. 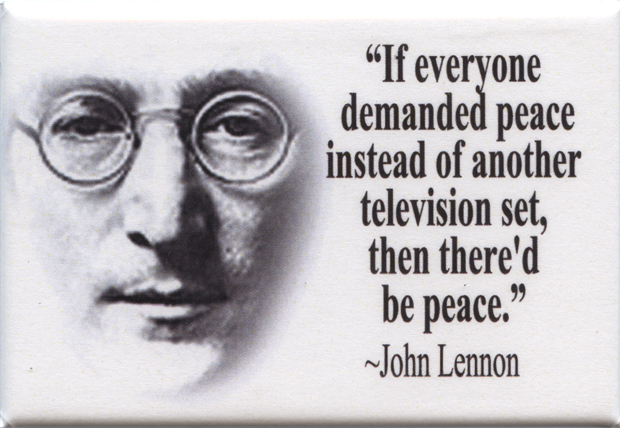 Seriously though – imagine if everyone was really living life in peace? Truly, really, living for today? May the world live as one. Why I didn’t think that joke was funny at all. I got dressed quickly when I found out we were going, throwing on a skirt and my new wrap, a piece of brightly patterned material over it to keep the wind from tearing up my skirt. We pulled up outside of the ramshackle hospital and jumped out of the car. A nurse led us to the ward where she was lying, barely moving under the gaily patterned pink sheet. We joined the family around her who stood silently, taking turns holding her hand. Slowly, tears began leaking from our eyes as the reality set in. The little one had not survived. A nurse came in to check the incision, a long mark across her stomach held together by tiny pieces of thread. Her two living children glared as we patted their backs, tears filling their eyes. After a while, we returned to the van with most of her family. Her mother carried the small figure in her arms, covered by her shawl. We rode silently home, our faces cold and set. When we reached her village, her husband began digging in the yard. Her mother carried the baby over to the hole. Without even thinking, my hands were at my waist, untying the wrap and handing it to the grandmother. The tiny little one was wrapped in it and placed in the ground, quickly covered. We sat for a long time, weeping silently by the small mound of earth. When the sky began to dim, I walked home, my skirt rippling in the wind, flapping and tearing at my legs.